Lakme is one of India's leading color cosmetic brands offering a wide range of high-end, world-class color cosmetics and skincare products. Lakme has a vast product range specially crafted by experts for the Indian skin. The brand has also been redefining fashion in India for over 15 years with Lakme Fashion Week, India's premier fashion event. The Illuminate Look' is the latest trend marching on most international runways this season. It celebrates sparkle without any reason. 'The Illuminate Look' is all about shimmer, translucent and lustrous makeup, with a reflective shimmer finish. Get creative with the two limited edition eye shadow palettes with 6 vivid colors that you can mix and match to create various looks. Buy Now! 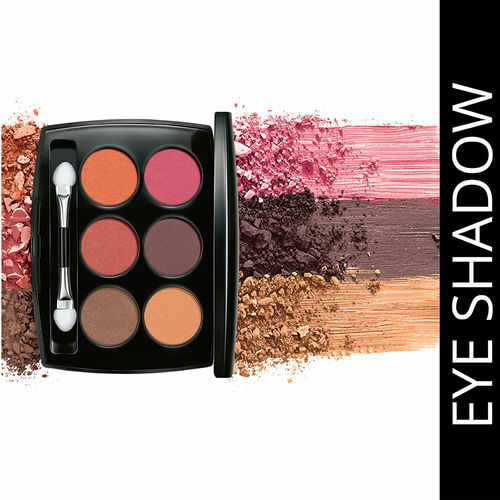 Explore the entire range of Eye Shadow available on Nykaa. Shop more Lakme products here.You can browse through the complete world of Lakme Eye Shadow .